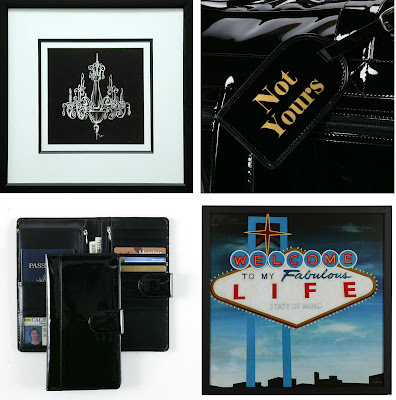 Chandelier 1 art - Swavorski crystals hand applied on image and framed in 1" black moulding; Never lose your luggage with the Not Yours Luggage Tag; Super cool art: Welcome; Black Patent Travel Wallet. 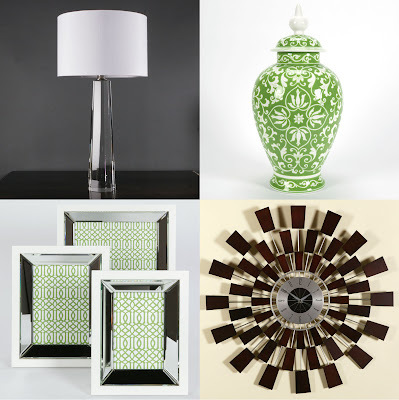 Gabrielle Table Lamp with a crystal base - so elegant; Montego Cannister Urn; Sunburst Wall Clock; The crisp white frame paired with mirror makes the Arno Frames just beautiful! 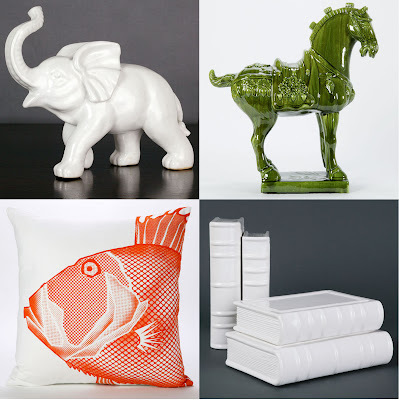 White Ceramic Elephant; Green Ceramic Imperial Horse; Set of 2 Ceramic Books - use as bookends or accents; Add a pop of color and some fun to your space with the Pescado Pillow! 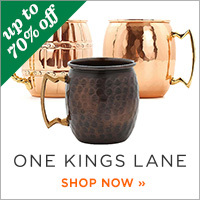 For more fabulous decor for your home, click here! The re-done Las Vegas sign is neat! nice finds! the fish pillow is sooo cool! 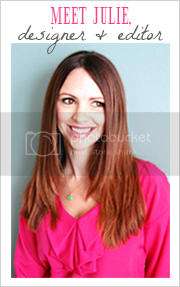 i finally posted my tag & tagged you, so checkout my blog for more info. I love everything! It's always fun when the stores display their new items! BTW...thanks for your kind words on Seams of Thought, and the link on your page! I am anxiously awaiting the website for your new company! I'm sure it will be a success!